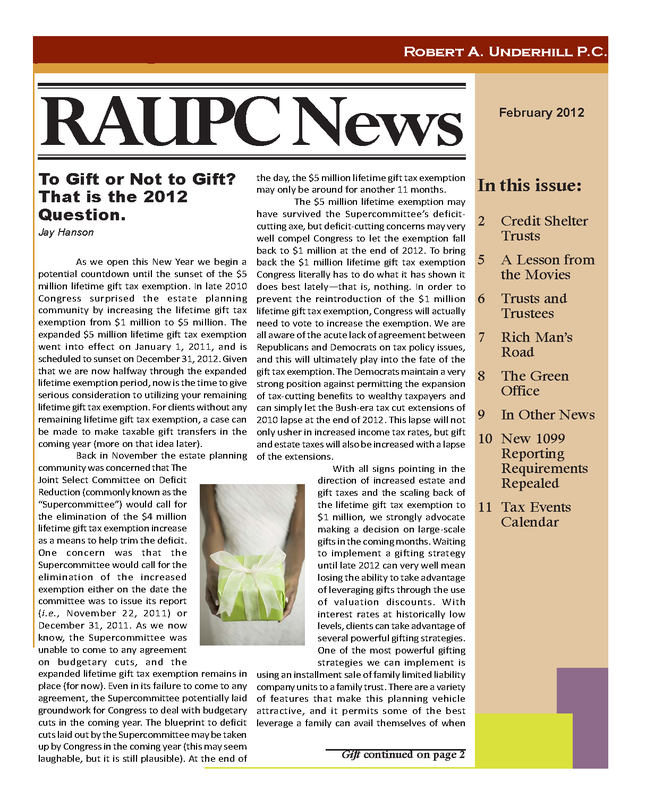 RAUPC publishes a quarterly newsletter covering topics of interest to our clients. 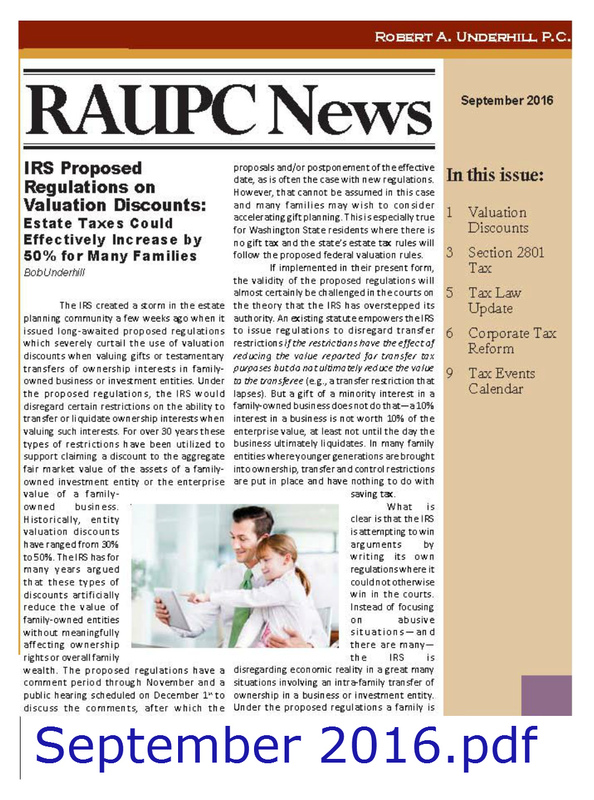 In addition, we sometimes produce special edition newsletters to focus exclusively on a particular topic in greater depth. 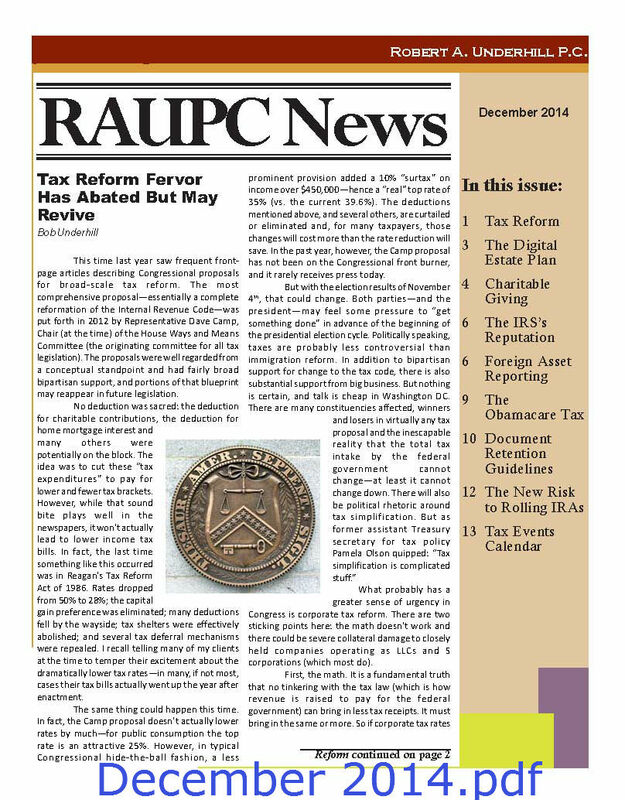 Click on any of the thumbnails below to see the full-size newsletter in pdf format. 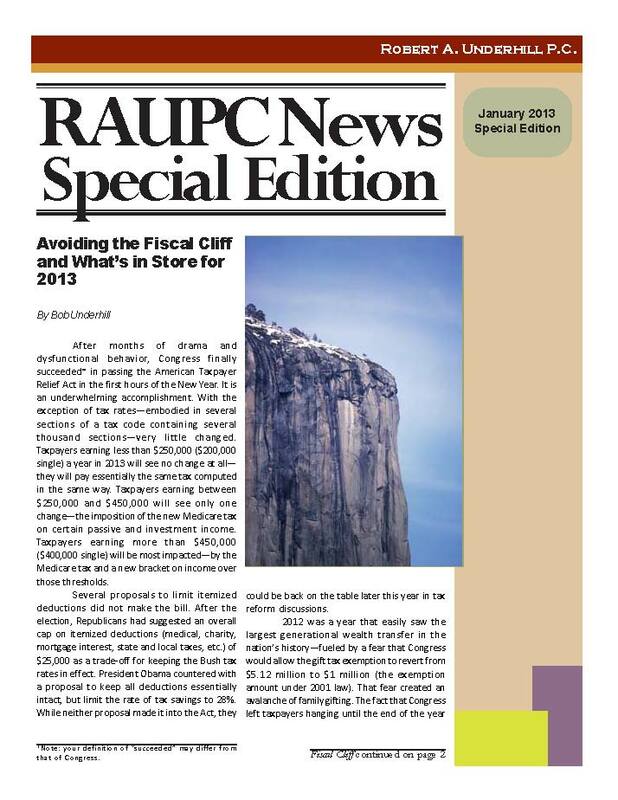 We distribute our newsletter via email as well as in hard copy based upon client preference. 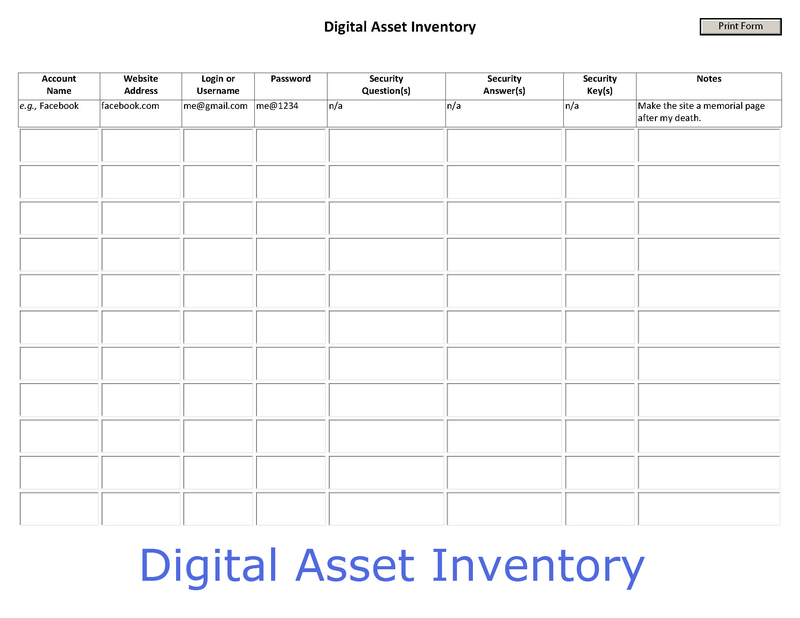 If you would like to receive our newsletter, or if you would like to receive a format other than the one you are currently receiving, please send an email to Amy.